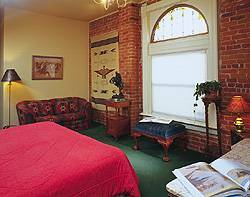 Perfect Location in Denver ... We really enjoyed our stay. We had everything close such as stores and restaurant's. The beds were super comfortable, and we will book again when we decide to go back next September hopefully. The property consists of two Victorian houses: one built by the well-known architect Frank Edbrooke in 1879, and the other built in 1886. The Inn is its 21st year. Innkeeper extraordinaire Tom King provides piped-in chamber music, fresh flowers, fax and wireless services. 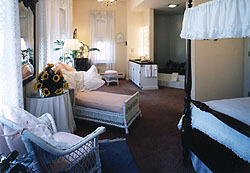 Each of the 10 double rooms in the 1879 Pierce-Tabor House is decorated with period antiques. Three rooms boast original murals: All four walls of the Aspen Room are filled with (what else?) 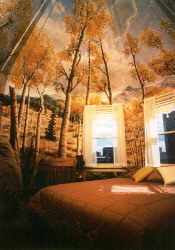 aspen trees; the third-floor Park Room overlooks a park and has a mural depicting the view that visitors would have seen in 1879. 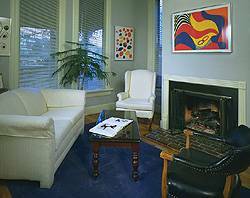 Each of the four two-room suites in the adjacent 1886 Roberts house is dedicated to a famous artist (Norman Rockwell, Frederic Remington, John Audubon, and Alexander Calder). The suites have deep soaking tubs, and the Remington suite has a hot tub. 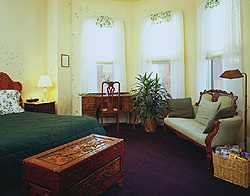 Half of the rooms have cable television. All rooms have privaate baths, some with tubs for 2, they all have phones with free local calls, we put fresh flowers in all of them and have chamber music piped in with their own volume control. Free high speed internet access with your laptop and wireless card. Walk to all of downtown restaurants, museums, and shows. Usually 3 days, but can be up to 14 days cancellation policy for a full refund. Deposit is 1 night or 50%, whichever is greater. If Traveling on I-25 South: Exit Park Ave. and 38th., Head towards Park Ave, then at the fork, Stay in the 2nd. to right lane, This will become 22nd. St. Take 22nd. St. until Tremont Place and turn Right. We will be the third house on the Right facing the park. 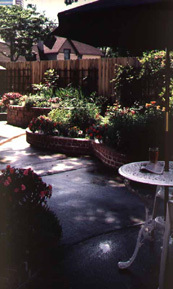 We are only a 10 minute walk to most of downtown. From the airport there are van services to the inn ($19), taxicabs $50) or city buses.